When I was about ten years old, I decided I was going to be a cheerleader for Halloween. Thing was, at 10 years old, I was a hard tomboy. I wore the same baby blue soccer shirt and black Umbro elastic-waisted shorts to school everyday. 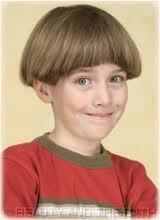 I cut my hair into a chili bowl. I prided myself on my 1st place pedal tractor pull trophy. I was aggressively not feminine. But for whatever reason, that October I snuck into my sister’s bedroom, stole her WMS cheerleading uniform, and put it on. I strode into our kitchen where my mom and sister were sitting and declared, “I’m a CHEERLEADER!” with my arms lifted in a V-for-victory pose. Two nights ago, I Couchsurfed for the first time. My friend Maggie and I wanted to explore Tallahassee on the cheap, so Couchsurfing seemed to be the perfect solution. Having never surfed before, I was hesitant. But as we pulled up to our host’s house, my caution melted away. The bungalow was quirky and thoughtful in all the right ways. The house number was hand painted on the front of the house in numbers as tall as me. The chairs on the front stoop were each their own color and there was a bike rack on the car in the driveway. This was going to go well. Sometimes I wish you were dead. That’s what Marion told her husband Don during an honesty exercise at a couple’s therapy weekend led by their therapist Ellyn Bader. Bader recounts in her book, Tell Me No Lies, that Marion had been unhappy for years in her marriage, but — not wanting to face the discomfort and shame of divorce — she had simply wished her husband dead. Wishing him dead was easier than facing the possibility of having to choose rejection and loneliness.